When is a banana not a banana? When it’s an ORCHID BANANA! 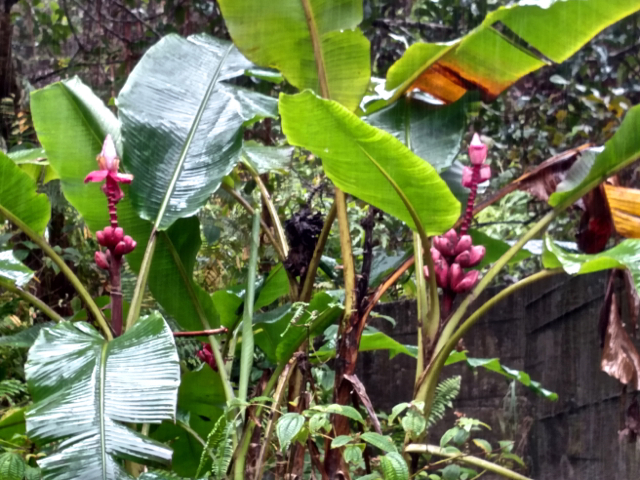 Being from tropical Australia originally, I’ve always lived with bananas growing in my back yard. But I had to come all the way to Maui to discover this little jewel. It looks just like a small bunch of RED bananas, but has a GORGEOUS orchid pink banana ‘flower’ on it. It looks totally spectacular in flower arrangements and people are always fascinated by it. And no, you can’t EAT these!!! Previous post: Celebrating Maui! and welcoming some rain after a DRY three weeks!